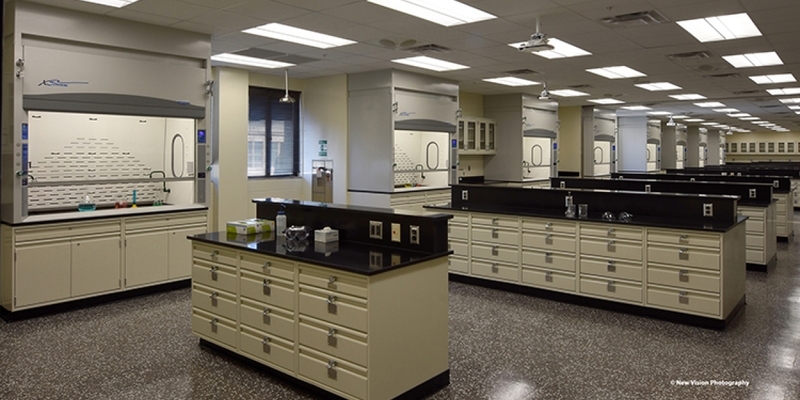 You have plenty of reasons to consider renovating your laboratory. But once you’ve decided it’s time for the big lab-makeover, should you build new? Or should you try to fill the old lab with new furniture and equipment? Renovation is often assumed to be a big money saver. But it doesn't always work out that way. Outmoded Space: Laboratory specs change, and your old space might not be up to snuff anymore. Is it even possible to retrofit modern lab furniture and equipment into your outdated space? Relocating Workers: Consider the cost of temporarily relocating the workers who are using your current lab. Could they keep working right up until the new lab is ready if you rebuild? Seismic Grade: Current seismic standards for your region weigh into any space’s eligibility for updating. Will your old lab pass muster? Some vibration-sensitive equipment might not work properly in your old space. Energy Efficiency: Consider the latest ASHRAE guidelines for energy reduction. Even with the newest, highest efficiency equipment, some lab spaces simply don’t make the grade. Inappropriate Repurposing: If you are repurposing a lab, you may find that your new applications' requirements will never fit your space. Not without making cost-prohibitive alterations. Some processes require dedicated ductwork and HVAC equipment that may not be feasible in your old space. Hidden Costs: Once you dig into the ceilings, walls and floors, you and your contractors may be shocked at what you find. There’s no predicting what time-honored (or dishonorable) decisions are lurking in behind the bricks, mortar, plaster and cement. Disrupting Other Labs: Labs are often created vertically. Like an expensive wedding cake, stacked MEP systems run through unrelated workspaces. Will other departments be shut down during your renovation as well? Renovations Take Time: The only certainy is uncertainty. If you try to keep part of your lab working during your renovation, you may find that unanticipated variables in your work affect your renovation timeline. Or vice versa. Your projects could stretch into time-consuming and expensive waiting games. Replacing the HVAC System: Let’s face it. If it’s time to renovate, the HVAC is probably already out-of-date, out-of-code, and out of usefulness. Your old HVAC probably doesn’t have the capacity to handle updates like a cleanroom, core lab, or vivarium. Contact a laboratory project development manager about renovation and new construction variables. * Original reference material from Lab Design News, "Renovate vs. New: Count Down Your Options," originally published February, 2013. This article was updated September, 2018.